The monument to the Inca Pachacutec inaugurated 500 years after the invasion of our land, should be taken as a symbol of the new Peru, which inspires pursue of social justice and its conquer. Pachacutec developing a society with justice, he made his great period and this monument is a recognition that makes him the people in the twentieth century. Its location at the oval that actually carries his name was based on to reason: first, the historic evocation, for begin this zone the place were the Sekeyuraqñan, that pointed the beginning of the royal road to Collasuyo, initiated, and the second to propitiate a new pole of development for the city. The monument´s base is 22.40 m high, plus 11.50 m of the Inca Pachacutec bronze sculpture. This is made in honor to Inca Pachacutec, the Tahuantinsuyo organizer. 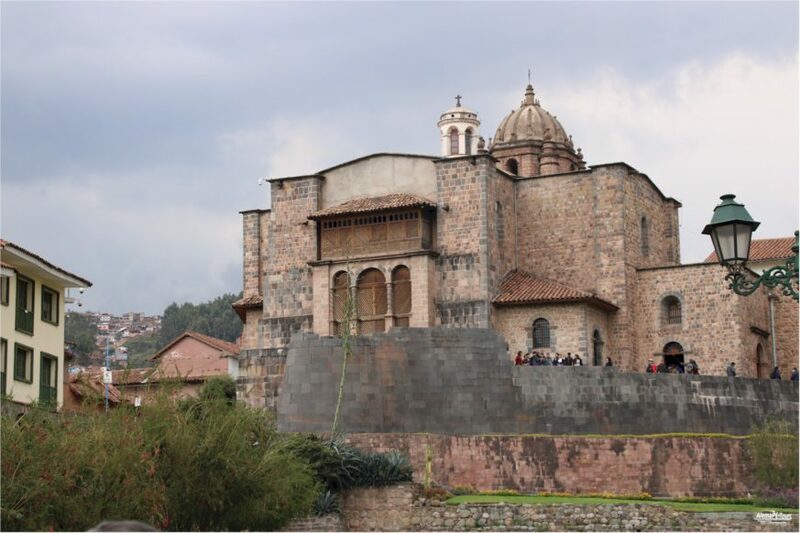 It is one of the Cusco tourist attractions and it is included in the Cusco Tourist Ticket. The huge stone structure mimics the ancient Inca quarries. At the top there is a window with panoramic amplitude, Inca style. This building alludes to the cluster where they kept and venerated sacred objects in that time. The construction was made with the best stones (regarding material and color) provided by the various communities of Cusco as Maras, Yucay, Rumikolka, Iskuchaka and Kachiqhata. Each year, the monument is visited by hundreds of people who can be seen from the terrace, the wonderful scenery of the city of Cusco. Location: At Ovalo Pachacutec – the intersection of El Sol Avenue, Del Ejercito Avenue and San Martin Avenue. Hours: From 9.00 to 19.00 all days.